On-the-go guacamole lovers now have a handy way to snack on their favorite dip when not at home. Wholly Guacamole has new single-serving snack cups with spicy or mild guacamole with round tortilla chips. 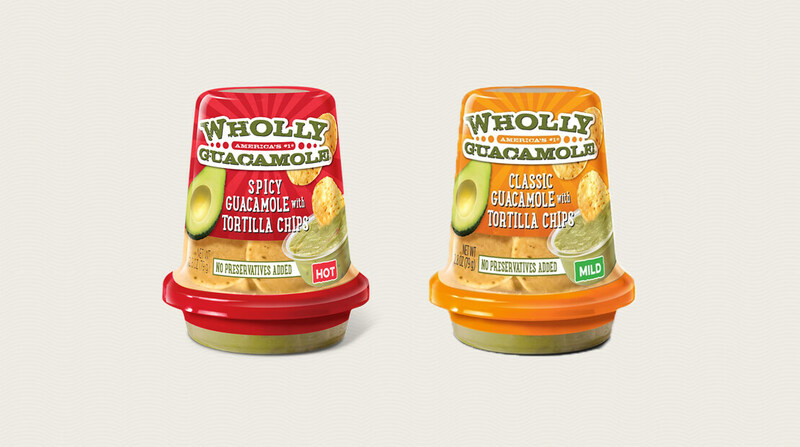 “With the new Wholly Guacamole Snack Cups, we’re answering a growing demand for wholesome and convenient, yet satisfying snacks,” Diana Pusiri, senior brand manager MegaMex Foods, which owns the Wholly Guacamole brand, said in a news release. “Like all of our foods, there is no need for mashing or prep — just open the cup and let the snacking begin!” she said in the release. The 2.8-ounce snack cups have a standard retail price of $1.99-$2.79 and are available in the produce sections of Walmart and at select convenience stores nationwide, according to the release.